I've developed a colour scheme for the project. I want to use a natural greens for the product, avoiding the typical blues and pinks of gender segregated design and also promoting a wellbeing aspect to the product, after all, that's what supplements are for. For example, health brands such as a Holland & Barrett use green as their colour. Green being the colour for nature, and plant life, associated with good health. 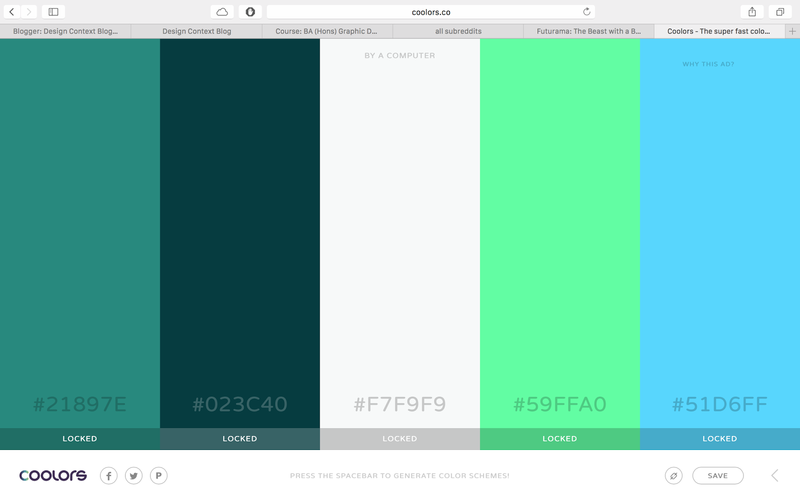 I used Coolors to help quickly select a colour palette which complements a green. Which you can find here directly.